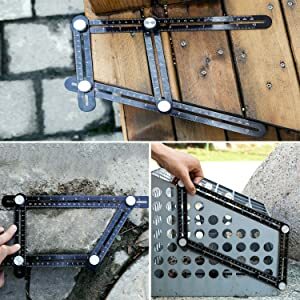 The Amenitee Universal Angularizer Ruler is the ultimate template tool for creating professional layouts in tiles, brick pavers, lumber and laminate. The innovative, four-sided mechanism quickly forms to the shape of your work area, which can then be used as a stencil for cutting your work piece. For professionals, the Amenitee can used to make bulls eyes, arches and plumb cuts on roof joists. For the do-it-yourselfer, use the Amenitee to help lay a brick patio or tile floor. How to use: Unscrew all the knobs on both angular-izers and take them apart. 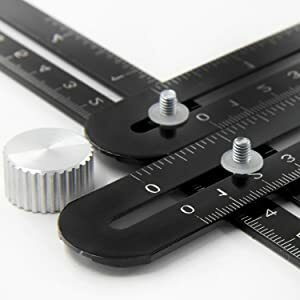 Place the ruler arms in the desired positions and overlap both ends of each ruler arm. 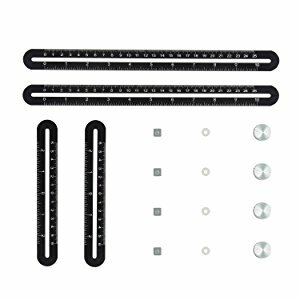 Take the knobs, washers, and screws and reassemble the knobs to link each arm together at both ends. There are many different ways to use this Amenitee to save your time. It will come with an instruction that can bring you more inspiration. This tool will speed up your future project and save your money and time in different scenes! There is a soft plastic gasket under each knob. 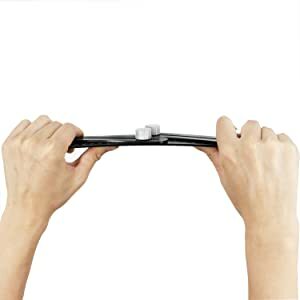 It can make twisting much more easier and proctect the scale from wearing. 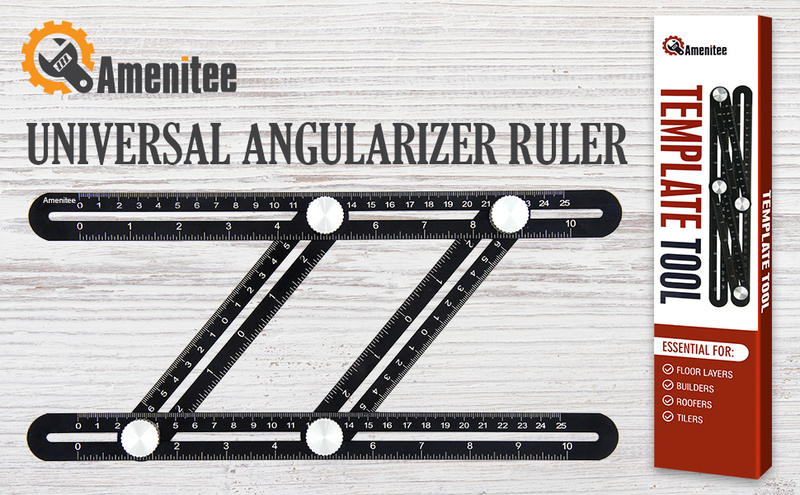 This Amenitee ruler is much thinner than other rulers with the same material. It can be put in your toolbox and not occupy extra space. 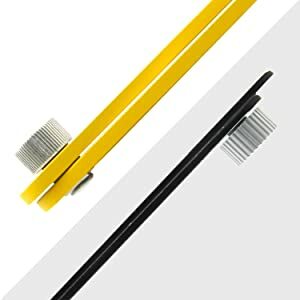 Don't worry about handling your ruler delicately, made of premium quality aluminum alloy. This tool can withstand the wear and tear. You work hard and so should your tools!